A recent class action lawsuit involving Remington rifles missed the target completely, according to 14 state attorneys general. They say that only 0.3% of 7.5 million rifles that are prone to fire accidentally will be fixed under the settlement. “The issue at hand here isn’t a simple product defect – it’s a fundamental flaw that has already claimed lives, and continues to put families at risk,” said New York Attorney General Eric Schneiderman. 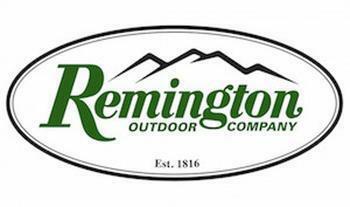 Remington denies the allegations and says it "stands behind the safety and reliability of its products." The company says the trigger defect affected a smaller number of models. The AGs have filed an amicus brief asking the Eighth U.S. Circuit Court of Appeals to overturn the settlement, saying that there have already been numerous deaths and serious injuries because of the rifles' propensity to fire without the trigger being pulled. They argue that although there is a simple replacement for the defective triggers, many rifle owners were not given legally required notice of the settlement. Those that were notified were not properly warned that their guns can unexpectedly fire without a trigger pull, the state AGs contend. Documents filed in the case show that Remington has been aware of the defect for decades and has declined to fix it, for reasons that include potential exposure to personal injury liability and the cost of alternative trigger designs, according to the AGs' filing. In the intervening time period, there have been hundreds of reports of personal injuries, including deaths, as well as of significant property damage, they said. Attorneys General have a responsibility to protect consumer class members under the Class Action Fairness Act ("CAFA"), which specifically establishes a role for Attorneys General in the approval process for class action settlements, they noted. The brief was led by Massachusetts and joined by attorneys general from New York, California, the District of Columbia, Hawaii, Illinois, Maine, Maryland, New Mexico, Oregon, Pennsylvania, Rhode Island, Vermont, and Washington.